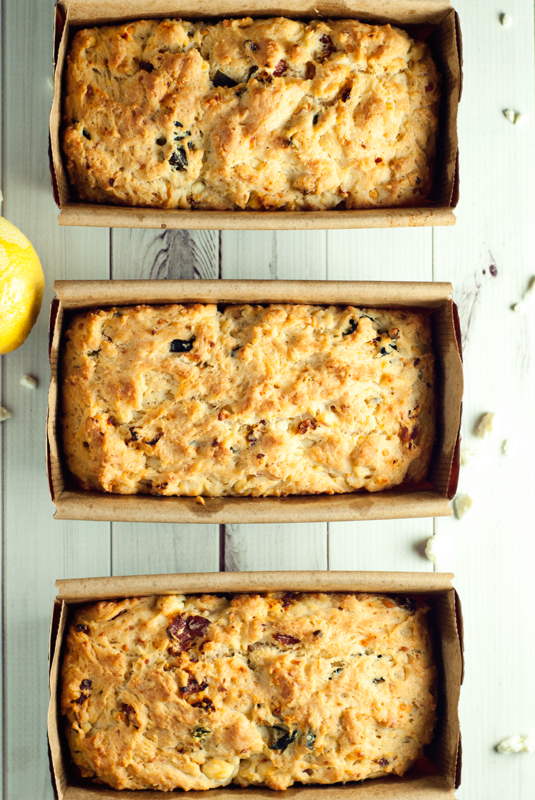 The other week I shared a hearty yet sweet cranberry and oat quick bread. Remember that? Well I thought this week I would share one that’s savory and delicious, prefect to go with your holiday dinner. Seriously. 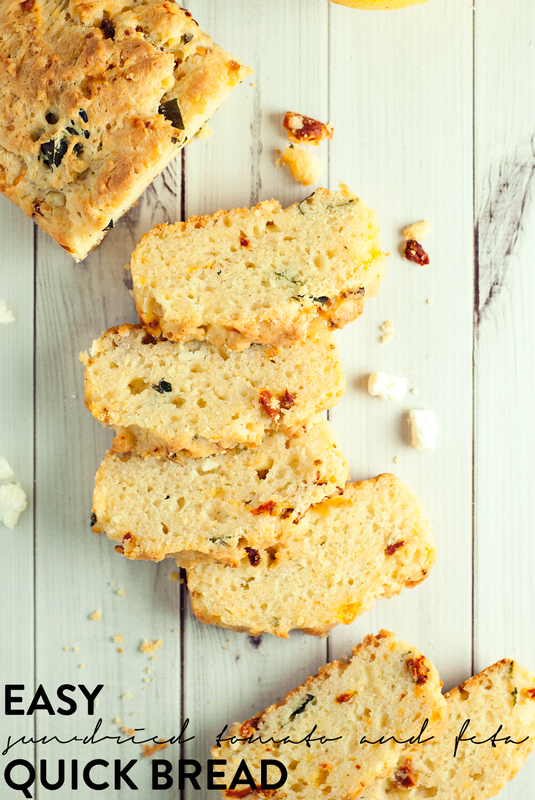 This easy sun-dried tomato and feta quick bread is all that and a bag of chips. OK, so it doesn’t have chips in it, but it’s amazing. 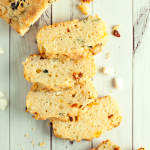 The flavor of this quick bread is intense and addictive, with big chunks of feta, diced sun-dried tomatoes, and fresh basil all marbled throughout. 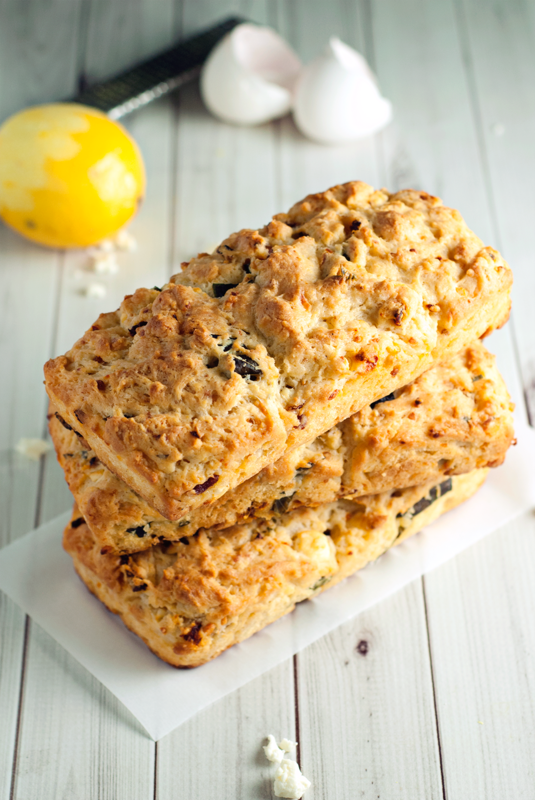 There’s even lemon zest, but you wouldn’t know it by taste alone. 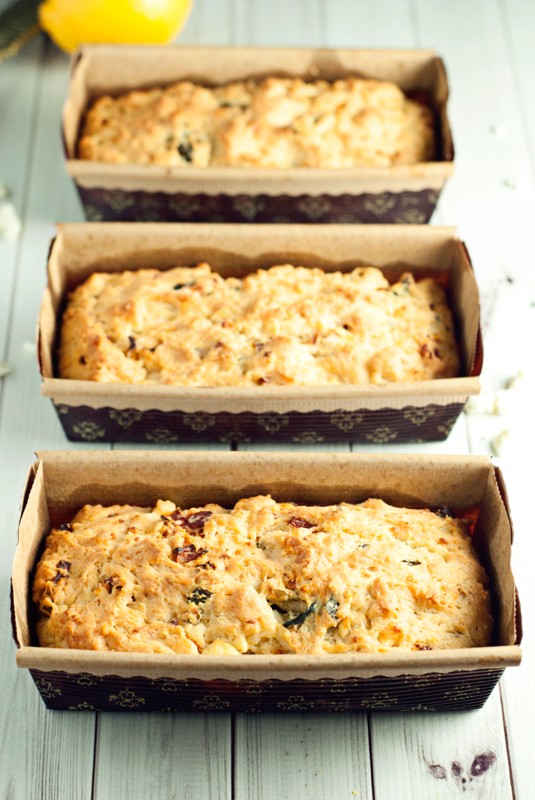 The dough for this easy sun-dried tomato and feta quick bread comes together in less than 5 minutes and then BAM! you’re in the oven baking some delicious goodness. I don’t know how many times I stalked the oven as the smell permeated the house. I wanted it now. So yum. Ready to get baking? I know I am! In a small bowl, combine the sour cream, canola oil, eggs, and sun-dried tomatoes, stirring until thoroughly mixed. 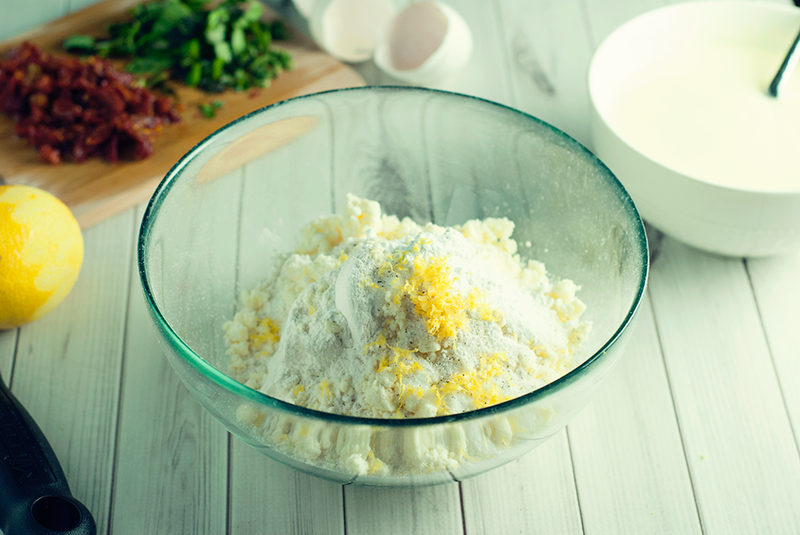 In a second, larger bowl, whisk together the remaining ingredients. 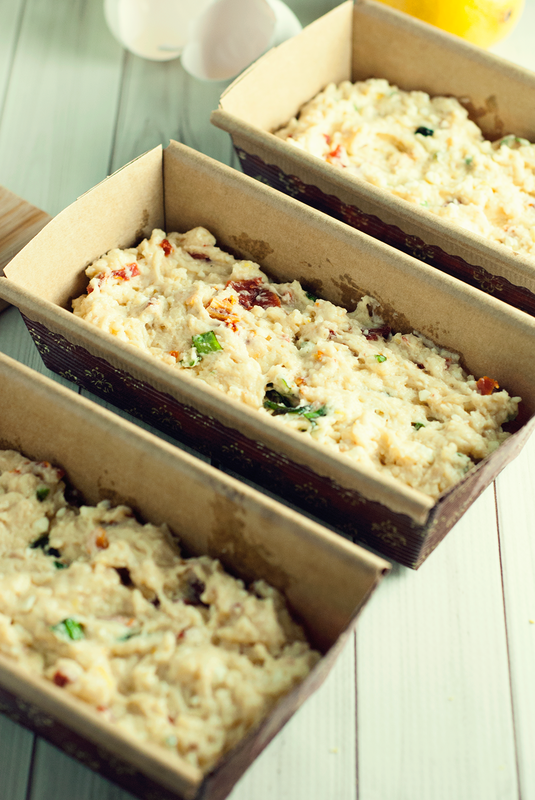 Add the wet ingredients and stir until just combined, then spoon into 3 mini loaf pans, or one regular-sized loaf pan. Bake for 25-30 minutes, or until golden on top and a toothpick inserted into the center of the loaf comes out clean. Some friends and I got together to share some of our more holiday-themed posts, so why not go check them out!